The Ricoh SP 3600DN is a mono printer and would fit perfectly into any workgroup or small office. The speed of up to 30 pages per minute makes the SP 3600DN very quick and with a reported maximum duty of 50,000 pages a month it is very much the workhorse needed in the busiest of office environments. What is more, this printer will not break the budget in terms of purchasing it, or printing costs. On the downside, wireless networking is not supported. Measuring 370mm x 392mm x 268mm and weighing a hefty 14.5kg, the Ricoh SP 3600DN has a front-panel USB port, and there is a wired Ethernet port at the rear of the machine. It also has a 250-sheet tray with the added bonus of a gauge, which lets the user know when paper is running low. There is also a size wheel designed to let the printer, and user know the size of the paper loaded. The printer comes with a 20,000-page drum and a 1,500-page starter toner. The page capacity can be upgraded from 3,000 to 6,000. Arguably, the main advantage of using the Ricoh SP3600DN is its high workload capability. Duplex printing coming as standard and is another major benefit. The maximum print resolution of 1,200 dpi is double that of similarly priced printers and that should make the Ricoh SP 3600DN worth considering by prospective purchasers. Text quality is rated as excellent, while graphics are also very good. A big plus for users is the low cost of printing and the availability of paper tray upgrades. 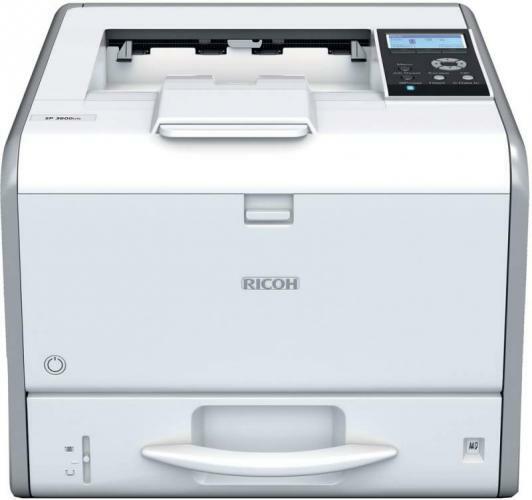 The fact that wireless networking is not supported could lead to some potential customers being put off purchasing the Ricoh SP3600DN, and while the basic printer settings are simple enough to follow, things become much more complicated with the advanced settings.